One might guess that the nation’s first net-zero energy K-12 school is located in Los Angeles, Silicon Valley, or perhaps New York City. 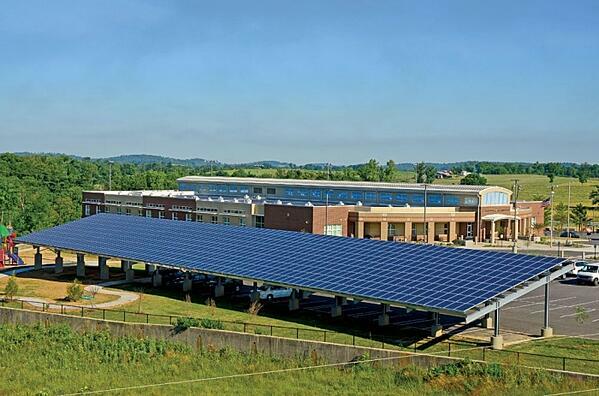 However, the first school to achieve full-scale net-zero status is located in the heart of the rural community of Richardsville, Kentucky--and proves that net-zero pays for itself...and then some. For WCPS, the visionary leadership of a forward-thinking superintendent kicked off a district-wide energy campaign in 2012. The superintendent's proposition to enter into an energy program with Energy Education, Inc. (now called Cenergistic) was almost impossible to turn down: all the board had to do was fund the position for an energy manager. Energy Education guaranteed cost savings above and beyond the cost of the new salary; if they failed to deliver, the board would be reimbursed. The decision to move forward paid off big time. To date, WCPS has saved $11.5 million to funnel into other projects, and all 24 schools in the district are Energy Star schools. 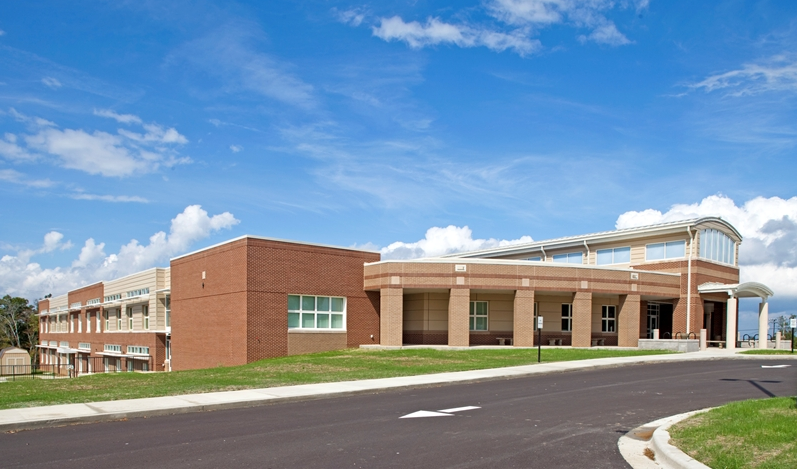 The success of the program inspired the district to think even bigger and strive for the goal of net-zero, which was achieved in 2010 with the opening of Richardsville Elementary School. In Kentucky, the average cost of 1 kBtu of energy is $2,500--which quickly adds up to an average annual cost of $182,500 for a typical 72,000 sq. ft. elementary school. Richardsville Elementary has achieved 18.2 kBtu’s annually, and two other WCPS elementary schools are currently net-zero ready (meaning they have everything a net-zero school has, minus the solar panels). IT systems, though known to consume a significant amount of energy, were traditionally left off-limits to energy reduction strategies in past projects. However, the design team petitioned for change. Replacing computer labs with laptop carts and wireless technology ended up reducing power consumption by 50%. “We didn't want to just put our students in a net-zero school and forget about it. Instead, we use the building itself as part of the pedagogy so kids can take these lessons learned out into the world,” Wilson shared. 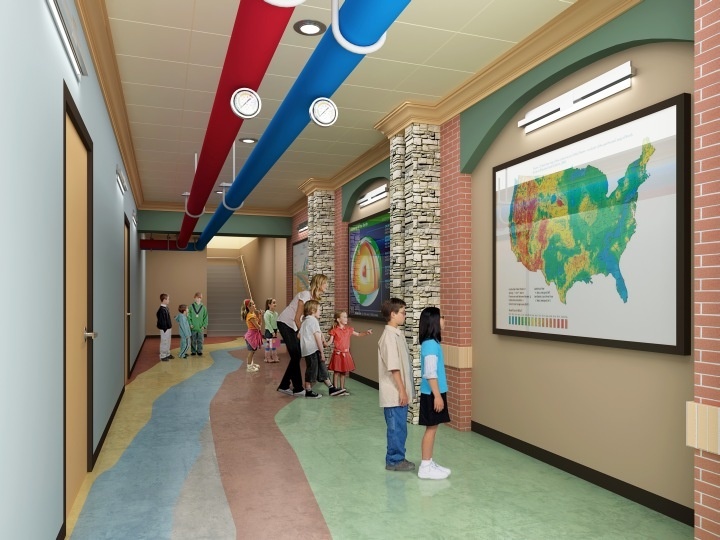 Hallways with geothermal, water, and recycling themes integrate the school’s features into the curriculum, and green screens demonstrate the school’s daily energy use and teach conservation principles. Students regularly give tours to the visitors of the school and can accurately explain how the solar tubes and the PV system work. Each school in the district also has a team made up of students who monitor consumption and perform energy audits for efficiency. Wilson closed with emphasizing the value of setting the bar high when it comes to sustainability.